DOCTOR WHO: Stories From The Scrapheap - SHADA | Warped Factor - Words in the Key of Geek. 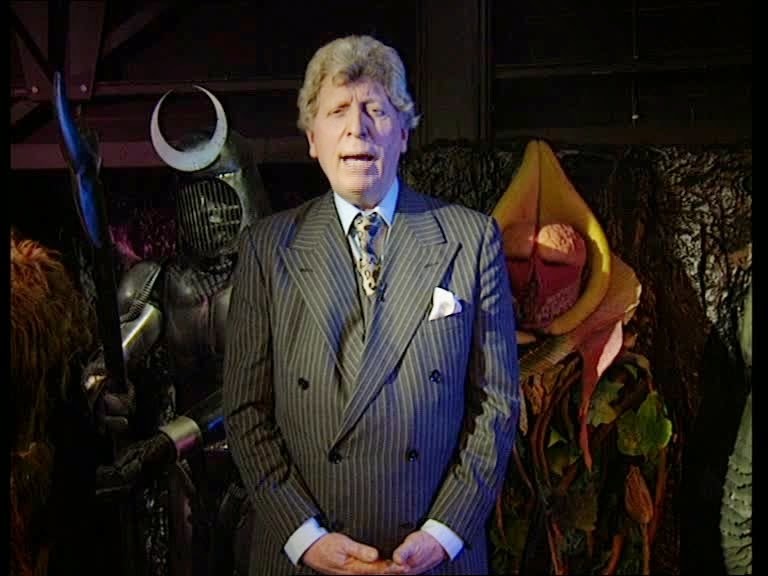 Christopher Morley takes a look at another story from the Doctor Who scrapheap. This time it's the incomplete Tom Baker adventure, Shada. So what's so important about this Shada place? Well, Skagra needs to break out a very important inmate- the Think Tank scientist is positively obsessed with a project he calls the ' Universal Mind'. Put simply it's a means to place his own mind into everyone else in the universe. He needs Salyavin! Which could prove difficult, as he's managed to use the gift Skagra so badly wants for himself to escape & make a new life for himself on Earth as Professor Chronotis. Everybody thinks Salyavin is nothing but a myth, too. Almost perfect, you might say! Except that the old boy's getting a bit forgetful in his senior years- well, he'd lived for over ten thousand years before the Doctor's time. He's managed to get himself teaching work at the University of Cambridge, as well- his TARDIS also serving as his accommodation. Nice old man, you'd think. Shame the Time Lords didn't agree, though! Suspicious of his mental power, they packaged him off on a sham assignment to Shada & had him framed as a criminal- he escaped by taking control of those supposed to be guarding him & quickly fled. All he'd wanted was a quiet life, too. As Chronotis, he served as a humble librarian in Gallifrey before retiring to Earth ( the option of choosing a nice corner of the universe in which to live out your days apparently a reward for years of loyal service, granted by the same Time Lords who'd imprisoned him before forgetting his past). He settled for Cambridge, & was close to the end of his life when he summoned an old friend, now in his Fourth incarnation, for a little visit. 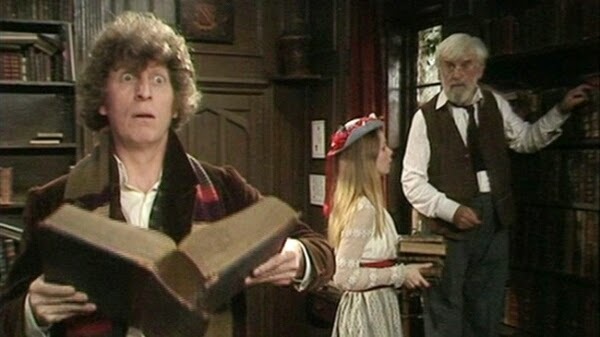 A favour needed doing, too- a stolen copy of The Worshipful And Ancient Law Of Gallifrey had to be returned to its rightful owners. This isn't just any book, though. As its title implies it's one of the fundamental building blocks of the planet it was pinched from! And in the wrong hands it could be used as a weapon- as the back cover of Gareth Roberts' 2012 novelization of the story states, Skagra ' most definitely has the wrong hands'. The writer of Series Eight's The Caretaker was finally able to get Shada into print after a deal was struck with the estate of the late Adams, who had served as script editor on the season it was supposed to have slotted into, as well as co-writing City Of Death with David Fisher & Graham Williams under the collective pseudonym 'David Agnew'. He'd earlier flown solo in contributing The Pirate Planet to the previous season's Key To Time story arc. Under the terms of the deal made with the Adams estate we'll also be getting City Of Death in book form next year- May 21, to be precise! Whether The Pirate Planet will follow, we can only wait & see. Part of one of the completed scenes of Shada makes it into The Five Doctors. After Tom Baker declined to return, the then producer John Nathan-Turner incorporated a segment into the anniversary special. 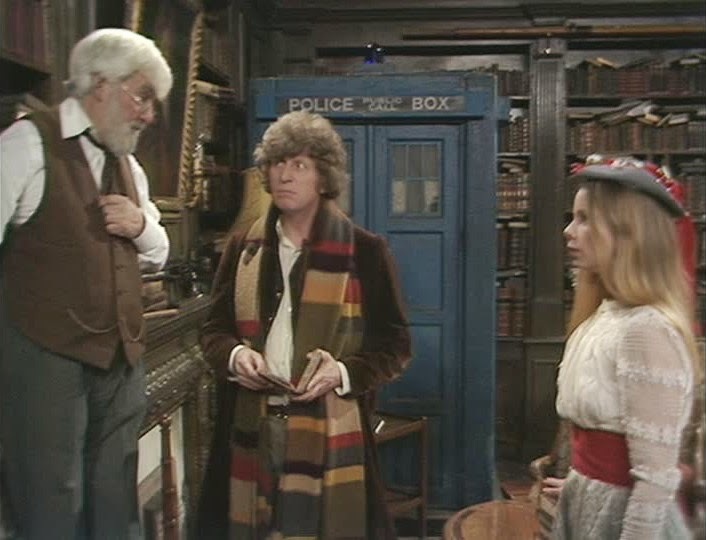 Remember the Fourth & Romana getting stuck in a time eddy while punting down the Cam? That was originally one of the twosome's pre- Chronotis treats. Well, it is Cambridge. You would, wouldn't you? And indeed you still can if the idea takes you. There's also a pre- novelization Eighth Doctor webcast which aims to fill in a few gaps reflecting the time eddy & changes in continuity since four selves ago from the Doctor's point of view.